CBS extended its beginning of the season winning streak to six weeks in viewers and adults 25-54, notching five of the Top 10 programs in viewers including all three editions of CSI, according to Nielsen live plus same day ratings for the week ending Oct. 29, week six of the 2006-2007 television season. For the week in viewers, CBS (12.29m) placed ahead of ABC (11.39m), FOX (9.97m) and NBC (9.72m). Season-to-date, CBS (12.97m) is first followed by ABC (11.67m), NBC (10.18m) and FOX (8.83m). For the week in key demographics, CBS was first in adults 25-54 (4.7/11, for the sixth consecutive week) and second in adults 18-49 (3.6/10). Season-to-date, CBS is first in adults 25-54, and second in adults 18-49 (just -0.2 behind ABC). For the week in households, CBS (8.0/13) had a +10% advantage over ABC (7.3/12), +23% over FOX (6.5/10) and +27% over NBC (6.3/10). Season-to-date, CBS is first in households (8.3/14), ahead of ABC by +9% (7.6/12), NBC by +26% (6.6/11) and FOX by +43% (5.8/09). CSI: MIAMI was first in households (11.7/19), viewers (17.83m), adults 25-54 (7.2/17), adults 18-49 (6.1/15) and adults 18-34 (4.4/12). CSI: MIAMI beat both "Studio 60" and "What About Brian" combined in viewers (17.83m vs. 13.70m, +30%), adults 25-54 (7.2/17 vs. 6.5/15, +11%) and adults 18-49 (6.1/15 vs. 5.9/15, +3%). Wednesday, CBS was first in adults 25-54 (5.9/14), tied for first in households (9.6/15, with ABC), second in viewers (14.92m, -90,000 behind ABC) and adults 18-49 (4.4/11).
? JERICHO was second in households (6.8/11), viewers (10.56m), adults 25-54 (4.5/11) and adults 18-49 (3.2/09). Compared to last week, JERICHO is up +7% in adults 25-54 (from 4.2/11) and +3% in adults 18-49 (from 3.1/09).
? CRIMINAL MINDS was first in households (11.0/16), second in viewers (16.77m), adults 25-54 (6.2/14) and adults 18-49 (4.4/11). For the third consecutive week, CRIMINAL MINDS beat "Lost" in households and from 9:30-10:00PM, CRIMINAL MINDS beat lost in viewers (17.77m vs. 16.86m, +5%). This is the most watched Wednesday episode of CRIMINAL MINDS to date and matches the second best adults 25-54 delivery.
? CSI: NY was first in households (11.1/18), viewers (17.42m), adults 25-54 (7.0/17), adults 18-49 (5.6/15) and adults 18-34 (3.9/12). Compared to last week, CSI: NY is up +6% in households (from 10.5/17), +11% in adults 25-54 (from 6.3/15), +8% in both adults 18-49 (from 5.2/14) and adults 18-34 (from 3.6/11) while adding +1.43m (from 15.99m, +9%).
? SURVIVOR: COOK ISLANDS, a clip show, won its time slot in adults 25-54 (5.3/13), tied for first in adults 18-49 (4.2/12, with ABC's first-run "Ugly Betty"), second in both households (7.7/12), viewers (12.63m) and tied for second in adults 18-34 (2.7/08, with ABC's first-run "Ugly Betty"). SURVIVOR: COOK ISLANDS has been first in its time slot in adults 25-54 and adults 18-49 every week this season.
? CSI: CRIME SCENE INVESTIGATION (R) was first in households (10.8/16), viewers (16.83m), adults 25-54 (6.4/15) and adults 18-49 (5.0/13).
? GHOST WHISPERER was first in households (7.0/12), viewers (10.88m), adults 25-54 (4.2/12) and adults 18-49 (3.1/10). GHOST WHISPERER has been first in adults 25-54 every week this season and first in four of the last five weeks in adults 18-49. This is GHOST WHISPERER's best household and viewer performance of the season, matched the best delivery in adults 25-54 and posted the best delivery of adults 18-49 since the 9/22/06 premiere.
? 60 MINUTES (7:21-8:21 PM) posted a 10.9/17 with 16.55m viewers, 5.3/12 in adults 25-54 and 4.1/11 in adults 18-49. 60 MINUTES was first in households, viewers, adults 25-54 and second in adults 18-49 from 7:30-8:30PM. This is 60 MINUTES second best delivery in households, viewers, adults 25-54 and adults 18-49 of the season.
? THE AMAZING RACE 10 (8:21-9:21 PM) posted a 7.3/11 with 11.66m viewers, 4.8/10 in adults 25-54, 3.9/09 in adults 18-49 and 2.8/07 in adults 18-34. This matches the best performance of THE AMAZING RACE 10 in households and is the second best in viewers.
? COLD CASE (9:21-10:21PM) delivered a 9.2/14 in households with 14.16m viewers, 4.8/10 in adults 25-54 and 3.7/09 in adults 18-49. Compared to the same night last year (CBS Sunday Movie), COLD CASE was up +104% in households, +66% in adults 25-54 and +54% in adults 18-49.
? WITHOUT A TRACE (10:21-11:21PM) posted an 8.8/16 with 13.37m viewers, 4.6/12 in adults 25-54 and 3.7/10 in adults 18-49. From 10:30-11:00PM, WITHOUT A TRACE was second in households and viewers, behind NBC's football game. Compared to the same night last year (CBS Sunday Movie), WITHOUT A TRACE was up +120% in households, +84% in adults 25-54 and +76% in adults 18-49. CBS top programs of the week: #4 CSI: MIAMI (an average of 17.83m viewers), #5 CSI: NY (17.42m), #8 CSI: CRIME SCENE INVESTIGATION (R) (16.83m), #9 CRIMINAL MINDS (16.77m), #10 60 MINUTES (16.55m), #16 TWO AND A HALF MEN (15.03m), #18 COLD CASE (14.16m), #19 WITHOUT A TRACE (13.37m), #21 SURVIVOR: COOK ISLANDS (12.63m), #24 THE NEW ADVENTURES OF OLD CHRISTINE (12.10m), #25 NCIS (R) (11.76m), #26 THE AMAZING RACE 10 (11.66m) and #30 NUMB3RS (11.09m). The self-contained serial killer series is becoming a ratings challenger to the mythologically complex ABC series. CBS' "Criminal Minds" is a gory, creepy, serial-killer show. It's dissed by critics as a stapled-together knockoff of the network's many other crime dramas. 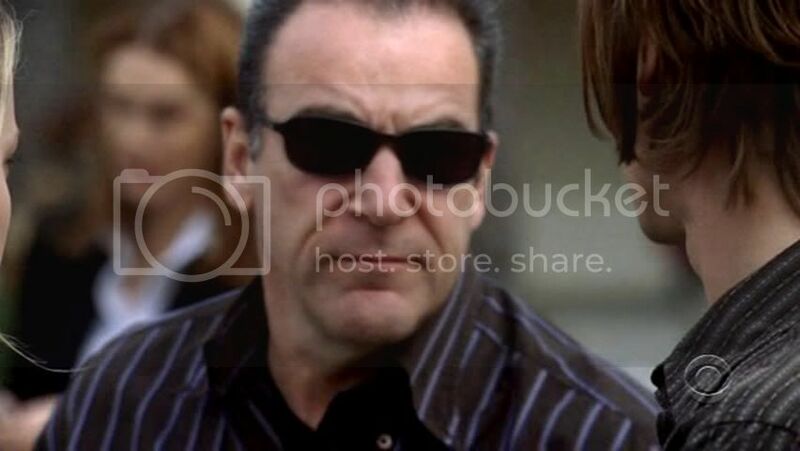 Its mirth-free tone is epitomized by Jason Gideon, the grumpy, taciturn FBI profiler played by Mandy Patinkin. And it's up against the ultimate water-cooler show on Wednesday nights, ABC's mythologically complex "Lost." Yup, conventional wisdom would dictate that "Criminal Minds," now in its second season, should be moldering on TV's rubbish heap. So why is the series growing into a bona-fide hit that last week delivered its most-watched episode ever, with 16.8 million total viewers, just a shade behind the still-formidable "Lost" (17.1 million), according to Nielsen Media Research? That's one of the top questions bedeviling TV veterans in the first weeks of this season, which has already proven a disorienting wasteland for network executives praying for a fresh batch of big hits. Viewers with near-infinite programming choices are supposed to be gravitating toward the creatively daring and the critically acclaimed, such as "Studio 60 on the Sunset Strip" or "The Nine." Instead, the masses are screaming for ... "Criminal Minds"? Well, yes. Since "Desperate Housewives" and "Lost" broke through two years ago, programmers, trainable creatures that they are, just figured the audience wanted more. So networks loaded up on serialized dramas that inspired — and also required — slavish devotion from fans. Forget to TiVo a couple episodes and you may be, well, lost. This season brought fare such as ABC's "The Nine," which follows the interconnected lives of hostages who survived a bank robbery, and NBC's "Friday Night Lights," designed as a rural Southern answer to "The O.C." But neither series has clicked with viewers. Nor did other serialized shows such as NBC's "Kidnapped" or ABC's "Six Degrees." "This was the year of serialized dramas trying to recapture lightning in a bottle the way that 'Desperate Housewives,' 'Lost,' '24' and 'Grey's Anatomy' did," said John Rash, director of broadcast negotiations for Minneapolis-based ad firm Campbell-Mithun. "But almost all of them were rejected by the audience." The growth of "Criminal Minds" is maybe the most convincing proof that not everyone wants to be chained to a dense, character-packed drama that unspools like a Dickensian novel. And even those who do have their limits. There is a reason why formula sells, why genres become generic in the first place. To the surprise of no one, executive producer Mark Gordon rejects the notion that "Criminal Minds" is as pedestrian as the critics would have it. "It's nothing like those other CBS procedural shows," he said. That Gideon and his team are typically pursuing serial killers — including an 8-year-old suspect in last week's episode — changes the plot dynamics. "It's about people solving crimes as they're happening rather than after they've happened." Writer-producer Ed Bernero, who oversees "Criminal Minds" day to day, contends that the show is a lot smarter than critics give it credit for. The writing staff views the series as based on Arthurian legends, he said, with the FBI assuming the role of King Arthur and Gideon the stand-in for Lancelot. Two recent episodes featured a killer who called himself the Fisher King, a direct reference to Arthurian myth. But Bernero also sees clear differences between his show and the competition. The team on "Criminal Minds" cracks a mystery every week. "Lost," meanwhile, has been drubbed by many fans for leaving too many questions unresolved about its central characters, who survived a plane crash on a mysterious tropical island. "I'm a fan of the show, and I don't feel like they're giving me solutions to anything," Bernero said of "Lost." Of course, it may be simplistic to assume that frustrated viewers are fleeing "Lost" and hopping aboard "Criminal Minds" (coincidentally, Walt Disney Co.'s Touchstone Television produces both). The series are among TV's most-watched, suggesting that there's room for both. And while "Criminal Minds" has been steadily gaining on "Lost" in total viewers, the ABC series retains a huge advantage among young adults, the group advertisers covet most. The median age of "Lost" viewers this season is 42; for "Criminal Minds," it's 53. But the producers of "Lost" realize they're walking a fine line between mapping out the grand fictional world that sophisticated fans expect and delivering the single-episode payoff that will keep casual viewers satisfied. Last season dwelled on what happened when some of the survivors went "down the hatch," a mysterious hole that led to unexpected confrontations. This year will focus on the survivors' face-off with "the others," another group inhabiting the island. "This season is a sequel as opposed to a show you can just drop into," said "Lost" executive producer Damon Lindelof. "You have to go back and do your homework. That could make it less appealing to a broader audience." Added executive producer Carlton Cuse: " 'Lost' makes no promises. It's an exercise in delayed gratification." He's not kidding about the delay. After the Nov. 8 episode — this season's sixth — "Lost" will take a three-month hiatus before returning in February. But Cuse promises that some mysteries that intrigued and possibly annoyed fans will get resolved soon. For example, how did Locke, the resourceful maverick played by Terry O'Quinn, wind up in a wheelchair? "That's going to get answered at some point this season," Cuse said. "Criminal Minds," meanwhile, will be adjusting to a major cast change. Lola Glaudini, who played the morally ambiguous Agent Greenaway, has left the series to return to the East Coast. Bernero said Glaudini was unhappy living in Los Angeles. (Through a representative, Glaudini declined to comment). Paget Brewster, perhaps best known for a recurring part on "Friends," has joined the cast as a new profiler. 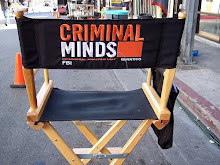 Aside from the personnel shift, however, the producers expect "Criminal Minds" to keep chugging along and hopefully edge past "Lost" soon. Bernero isn't worried about running out of material. "At any given time, there are 30 serial killers working in the United States," he said. October 29, 2006 -- You'd think "Criminal Minds"' top sleuth, actor Mandy Patinkin, would be doing handstands over being on a hit series. You'd be wrong. "I've asked myself a thousand times: What the hell did you choose this for?" says Patinkin, sitting in his luxury trailer on the Los Angeles set. The Broadway veteran and former star of "Chicago Hope" isn't whining about the long hours it takes to do the show. Patinkin's complaint is about spending those hours concentrating on horrific subject matter. On this show, that means getting inside the minds of serial murderers, rapists, arsonists and terrorists. "There are many days," says Patinkin, "that I'm a basket case and I can't do the show." The stories are based on real-life criminals - think Jeffrey Dahmer or Ted Bundy - and even for an actor as seasoned as Patinkin, it's no cake-walk. 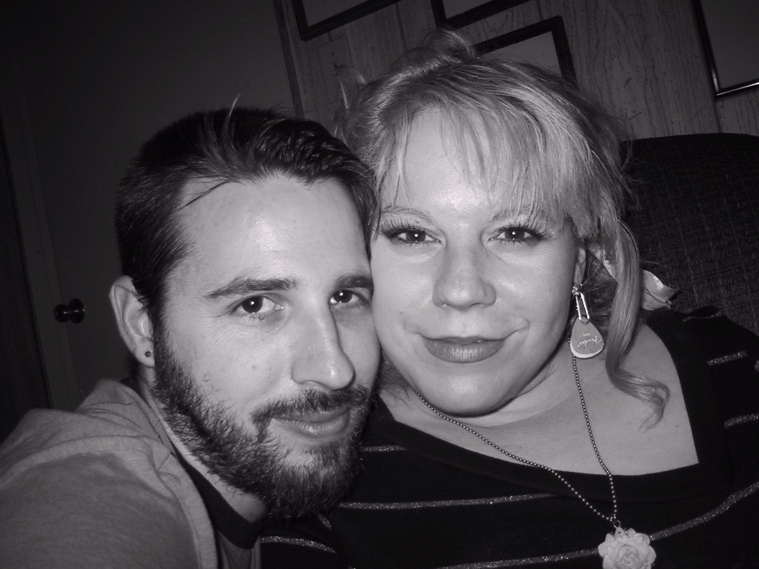 "In six hours, I'm toast, running on empty, pumping the green tea and the dark chocolate and praying to God," he says. "Because Mandy has left the building." "Criminal Minds" never got the splashy headlines or a big publicity push when it debuted last season. The series was considered just another procedural crime drama. But over the summer in reruns, these stories about an elite band of F.B.I. profilers started to catch fire. The show's executive producer, Ed Bernero, a former Chicago cop who spent 10 years wearing a badge, thinks he knows why. "We have a completely different approach," says Bernero. "On 'Law & Order,' if they don't do their jobs right, somebody might get away with murder. If we don't do it right, someone else is gonna die. Most crime shows are after-the-fact. We're trying to keep another crime from happening. "I think that's endlessly interesting, not only to cops, but to the audience." It's worth noting that the "Criminal Minds" audience is not being fed a steady diet of blood and guts. The show, as a rule, relies more on the imagination than crime scene gore. And its bone-chilling premise is that the guy who's out to hurt you isn't some wild-eyed stranger in a trench coat hiding behind a tree. "It's your neighbor, your priest, your teacher," says Bernero. All that has made this creepy crime drama into a kind of stealth television, steadily sneaking up into the Nielsen top 10 trumping once-invincible competitors such as ABC's "Lost." Unlike that show's endlessly convoluted, serialized storylines, "Criminal Minds" takes a disturbing tale and gives it - in one hour - a beginning, a middle and an end. Bernero says he compares the characters on "Criminal Minds" to "knights of the round table. But these are modern-day knights and they're going out to fight the biggest dragons in society. And I think that's what people are responding to." That's also what's keeping Patinkin on his own razor-thin edge of sanity. "It's especially tough on Mandy," says Bernero. "I've talked to him about my experiences as a cop, and he is now going through many of the things that I went through. When you immerse yourself in this world, it can't help but change the way you look at things." "Sometimes, I can't let go,"Patinkin says. "I can't goof around. I can't treat it like a comedy. I try, but sometimes, I just can't." CRIMINAL MINDS: CHEERS TO YOU KIRSTEN VANGSNESS. GARCIA RULES! Currently portraying Derek Morgan on CBS's show "Criminal Minds". Shemar Moore is best known for his portrayal of photographer Malcolm Winters on "The Young and the Restless" on CBS, for which he won a Daytime Emmy Award for Outstanding Supporting Actor in a Drama Series. He was also nominated for Daytime Emmys in 1996 and 1997 in the category of Outstanding Younger Leading Actor in a Drama Series and Outstanding Lead Actor in a Drama Series in 1999. He has won five NAACP Image Awards. Moore's additional television credits include the mini-series "Scott Turow's Reversible Errors," the series "Birds of Prey," the movie "How to Marry a Billionaire" and hosting the Miss USA Pageant. His feature film credits include "Diary of a Mad Black Woman," "Butter," "Motives," "The Brothers" and "The Seat Filler." Moore currently resides in Los Angeles. Currently portraying Aaron Hotchner on CBS's show "Criminal Minds". Thomas Gibson is best known for his five years in the comedy series "Dharma & Greg." 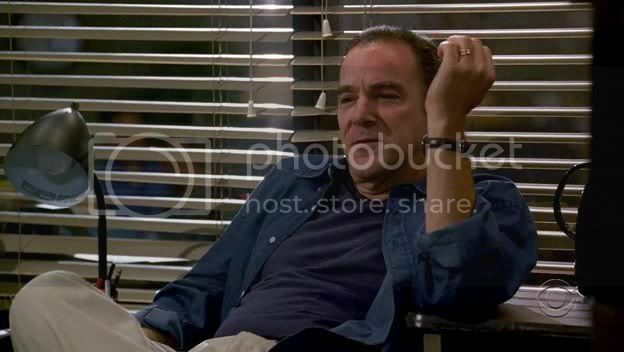 His additional television credits include a starring role in the CBS series "Chicago Hope," the movies "Raising Waylon," "The Inheritance" and "Brush with Fate," on CBS, "Tales of the City," "More Tales of the City," "Evil Never Dies," "A Will of Their Own" and "The Lost Empire," and the mini-series "Category 6: Day of Destruction," on CBS, and "The Kennedys of Massachusetts." Gibson made his feature film debut with a starring role in the epic drama "Far and Away" and has since appeared in films such as "The Flintstones in Viva Rock Vegas," "Eyes Wide Shut," "The Age of Innocence," "Barcelona," "Love and Human Remains," "Sleep with Me," "Pyscho Beach Party," "Jack the Dog" and "Stardom." He made his New York stage debut in "A Map of the World" at the New York Shakespeare Festival and worked on and off Broadway for more than 10 years in a wide variety of plays. Gibson lives in Los Angeles. I am completely unfamilar with Paget Brewster's work. If anyone has any info on her I would love to hear it. I hope she is a positive addition to the cast of Criminal Minds. A.J. Cook is doing a nice job as Jennifer Jareau. It seems to me that she is getting more screen time as the second season progresses. When the show first started I thought she was just the token blond window dressing that many shows have but she has really proven to be a very capable member of the BAU. 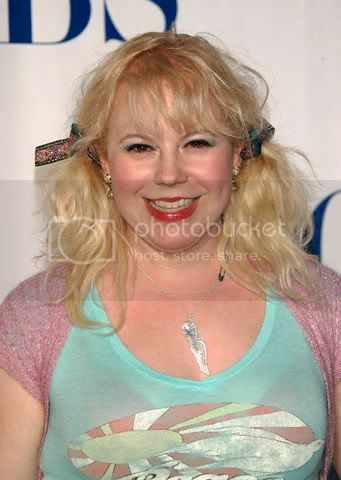 "In the L.A. theater community and as a performance artist, Vangsness' work has garnered her the 15 Minutes of Fem Best Actress Award, the Los Angeles Drama Critics Award for Best Emerging Comic Actress and the coveted Golden Betty Award. Her written work has appeared in the Los Angeles Times Magazine. She is a member of Theatre of NOTE in Hollywood, California. Vangsness was born and raised in Pasadena and currently resides in Long Beach, California. Her birth date is July 7." Criminal Minds: Mattthew Gray Gubler does a great job portraying Dr. Spencer Reid. 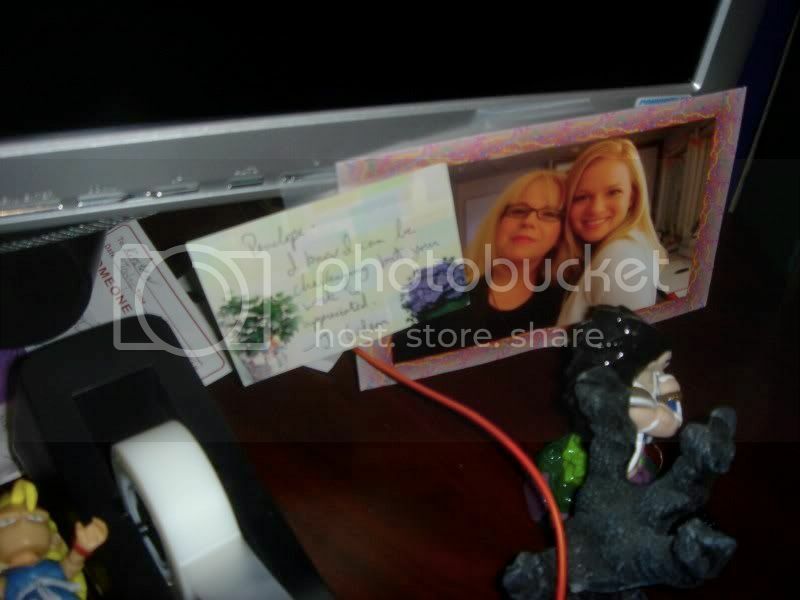 CRIMINAL MINDS: PENELOPE GARCIA'S DESK, PLAYED BY KIRSTEN VANGSNESS. CRIMINAL MINDS: DR. SPENCER REID'S BIRTHDAY CELEBRATION.